3ware 9650SE-2LP PCI-E x1 SATA RAID-controller kopen? | That's IT! Snelle 2-kanaals SATA RAID adapter met 128MB cachegeheugen. 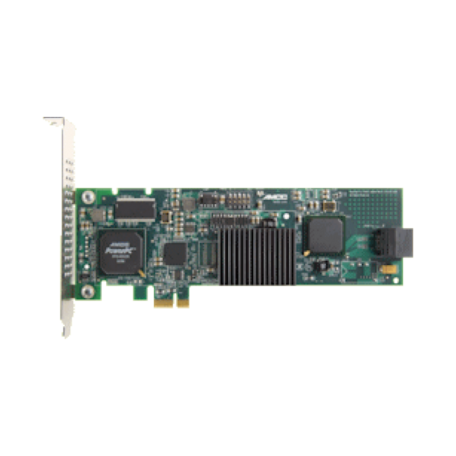 LSI 3ware 9650SE SATA II hardware RAID controllers deliver industryleading RAID performance, robust fault tolerance, and multi-terabyte capacities. A PCI Express host interface, (optional) Multi-lane™ connectivity, StorSwitch™ architecture, and sophisticated SATA II features drive this unrivaled performance.